The creation of this web site is one of many steps the newly elected EC will take in an honest effort to unite and keep informed all brother well as all Delta Chapter alumni. It’s our wish that the web site be shared with everyone who has ever been a brother at Delta Chapter. Previous experiences have taught us that although we have a core group of outstanding brothers who contribute time and time again, we know there are many more that would be willing to contribute physically and/or financially, but lack the information and access to do so at their leisure. Our Chapter will attempt to compile, simplify, and make accessible all the pertinent information regarding the status of the Undergraduate Chapter and other alumni, in our new semesterly news Newsletter. On that note, I invite you to browse through the web site and see what we’re up to. 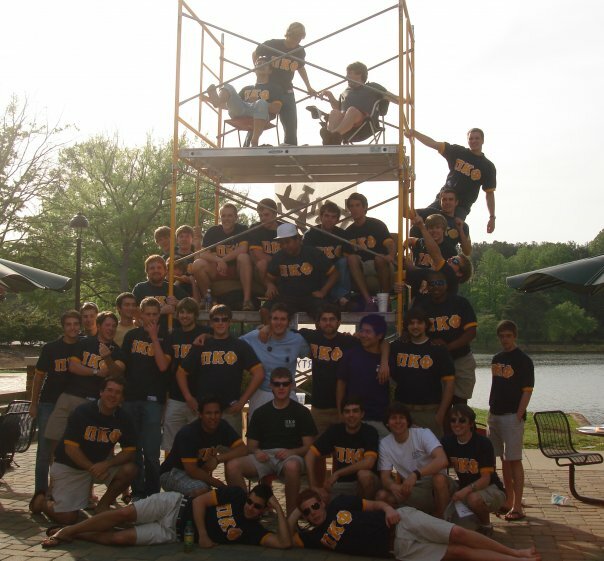 Founded in 1909, the Delta Chapter of Pi Kappa Phi has worked to redefine fraternity at Furman for a century. We seek to build better men through exemplary leadership on campus, service within the community, and a dedication to lifelong brotherhood. If you would like to make a donation to Delta Chapter. Checks may be addressed: Pi Kappa Phi Delta Chapter. Click "Contact Us" tab for mailing information.